Bottom Blowdown Valve that we manufacture, export and supply is extensively in demand amongst buyers. We make use of excellent quality raw materials and hi-tech machines for the fabrication of our Bottom Blowdown Valve. 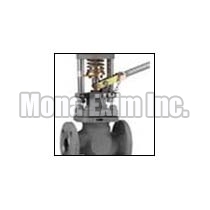 The fabrication process is carried out under the supervision of experts and thus our valves remain free from defects. We can also provide our Bottom Blowdown Valve in different specifications.